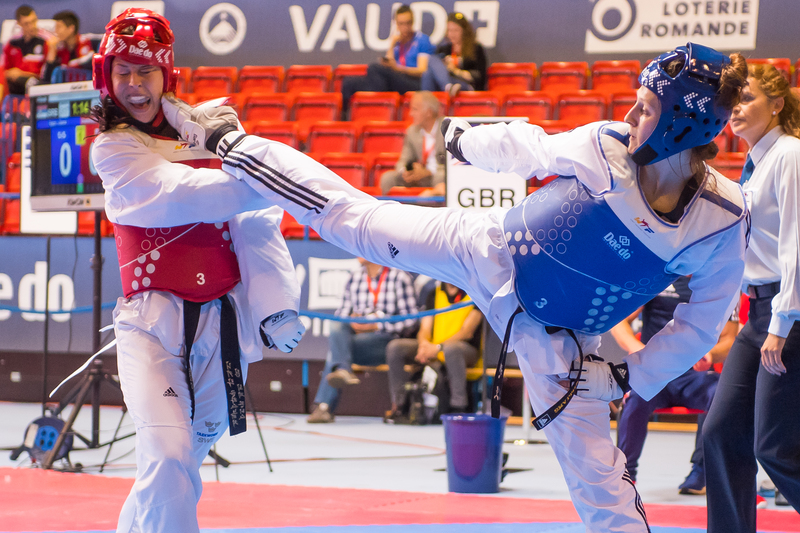 Teenager Lauren Williams won Great Britain’s second European Championship gold medal in only her second senior competition in Montreux, Switzerland today. 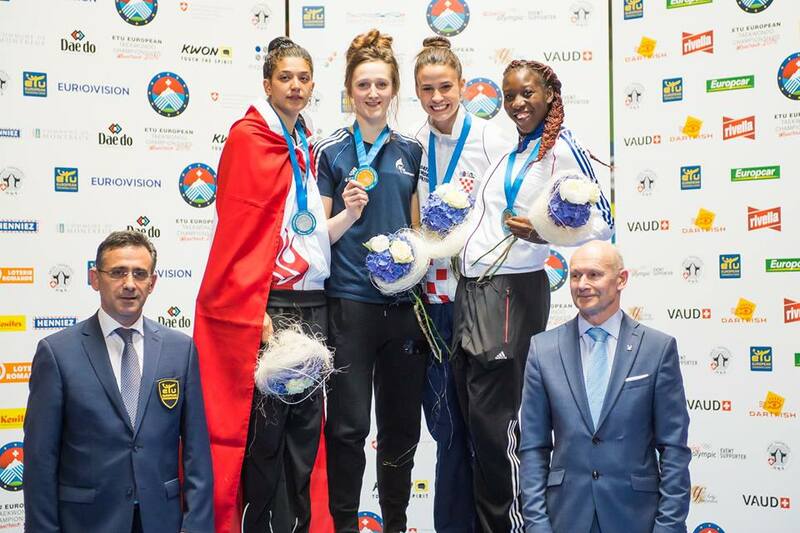 Just 24 hours after Welsh compatriot, Jade Jones, captured the -57kg title, Williams, 17, from Blackwood, clinched the -67kg title by beating 2012 Olympic and 2015 World Championship silver medallist, Nur Tatar. “I am overwhelmed,” admitted the 2014 World Junior champion forced to overcome two major ankle operations to get her career back on track. “I didn’t expect a medal, let alone gold. Williams’ unexpected win came after a succession of tight matches. including a golden point quarter-final victory and a 13-12 semi-final triumph against Croatia’s Matea Jelic. Williams led 2012 European champion Tatar 3-0 but was caught with a head shot in the closing stages. She was then adjudged to have pushed her Turkish rival causing a penalty point to be added to her opponent’s score. An appeal by coach Paul Green led to the penalty being rescinded and he further protested Tatar had deliberately fallen to the floor. After further video replays, the penalty was recorded against Tatar and Williams was European champion. Williams’ performances were the highlight of the penultimate day of competition for the Manchester trained squad. London 2012 bronze medallist, Lutalo Muhammad, started his first competition of 2016 in outstanding fashion. The Walthamstow Warrior whitewashed Azerbaijan’s Ramin Azizov, a former World bronze medallist and 2012 Euro silver medallist, 5-0 in his first match. But in his next fight Mohammad lost 13-1 against Azizov’s compatriot, Milad Beigi Harchegani, in the quarter-finals. Lancastrian Rachelle Booth, last year’s World Championship bronze medallist, lost 8-4 against Daniela Rotolo of Italy at -62kg while Plaistow’s Christian McNeish went down 3-1 against Portugal’s Julio Ferreira at -74kg.